Welcome to my next BVlog post. As I mentioned in my previous video, I needed to find my file which I didn’t remember where is it. Only the details I remember was the file type and time frame when I saved the file. During browsing the web I found couple guides which didn’t really helped me in my case. 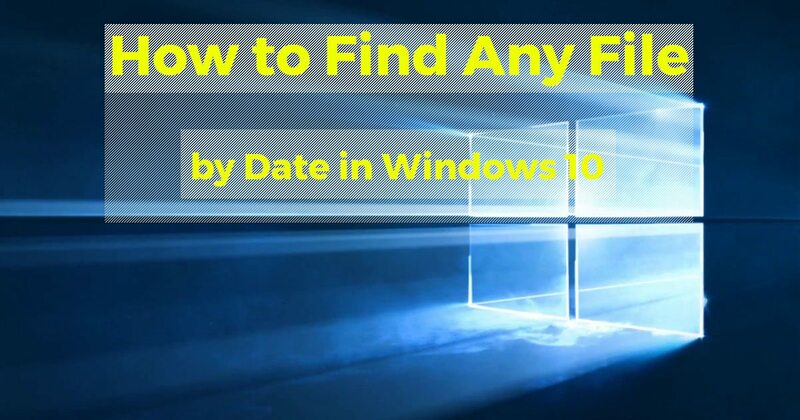 So here I decided to create this BVlog article how to find any file by date in windows 10. I already knew that in windows are advanced features how to find files. I was a little bit playing around with this feature and prepared for you this video. You will learn in the video how to easily find anything on your PC without any hassle. As I mention in the video, try to get as close as you can to the potential location of your file. Then try to search it. It will save you lots of time instead of searching through all your PC memory. And the files will be appearing as you type the name. In case you are the Android user and always love to try all the possible apps that make your work flow on your smartphone faster. Then this article about the app SwipePad might be a perfect match for you. I hope that my video helped you to save some time and you find the file you have been looking for.